I am reluctant to be such a meany, especially as the song of blackbirds (Turdus merula) in the evening is such a wonder, but I really dislike blackbirds at this time of year! 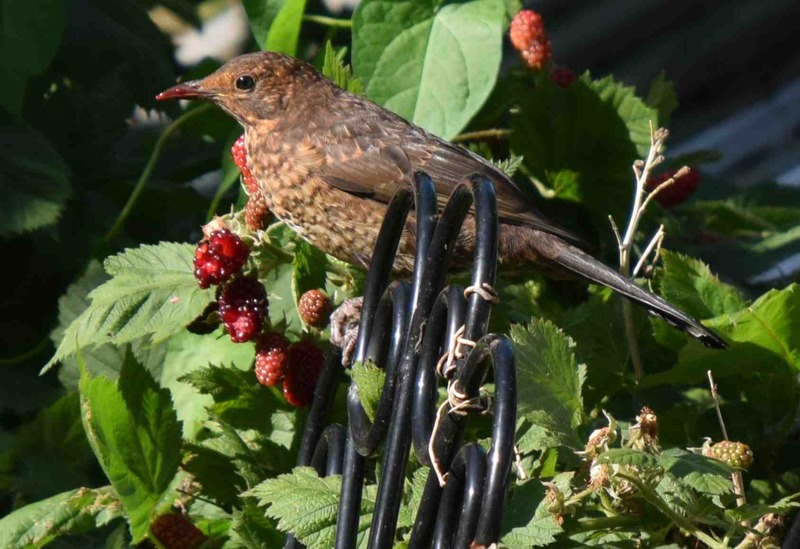 Every year, as soon as the Silvanberries against the greenhouse start to turn red (a week away from being ripe enough to eat) the blackbirds move in. And they are cheeky devils that have very little fear. 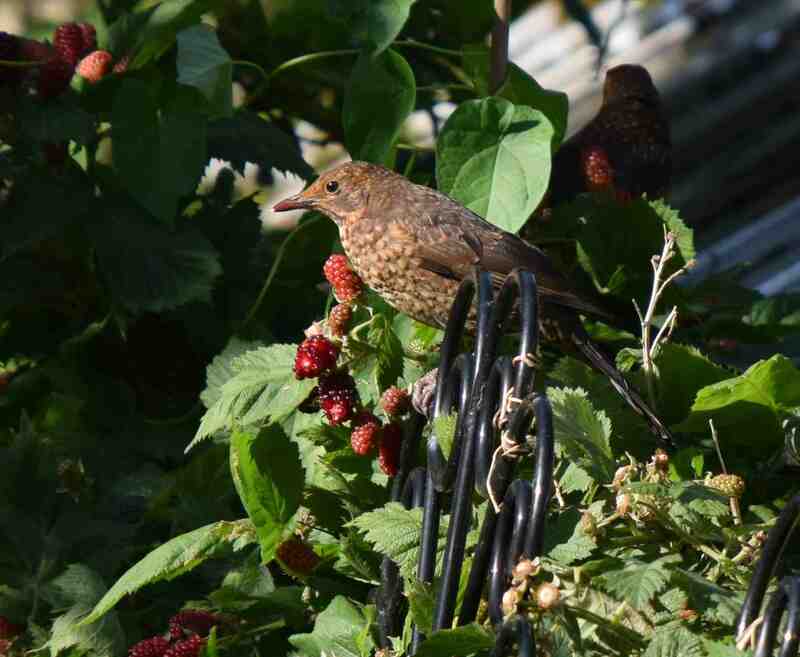 They sit there and peck away at the unripe fruits or fly up and try to grab one of the plants. For some reason, it seems to be only the (brown) females that have the sweet tooth. And sometimes there is more than one and a couple attack the plant. 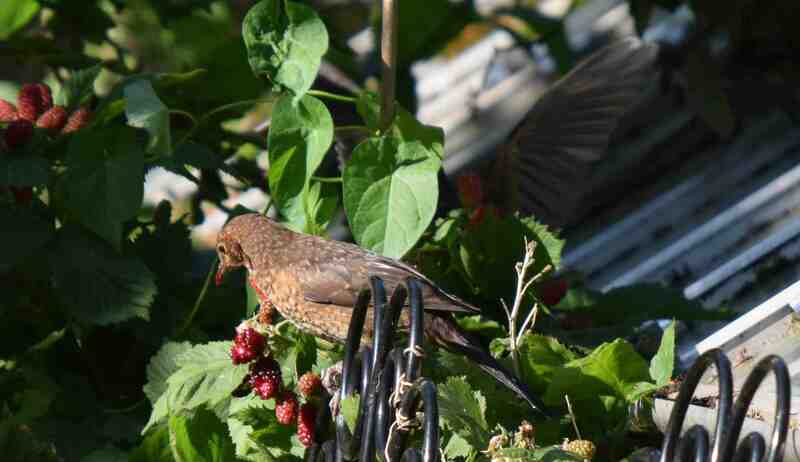 To make things worse, as I was clearing the undergrowth in the small, presently unused greenhouse, I discovered that a blackbird has even made a nest, just yards away, very handy for the strawberries and Silvanberries underneath. 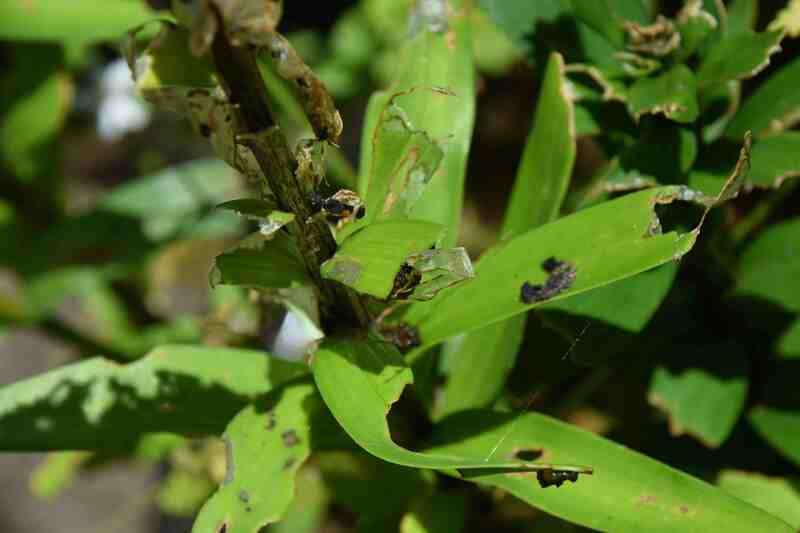 But even worse, so perhaps public enemy No 1, is lily beetle (Lilioceris lilii). 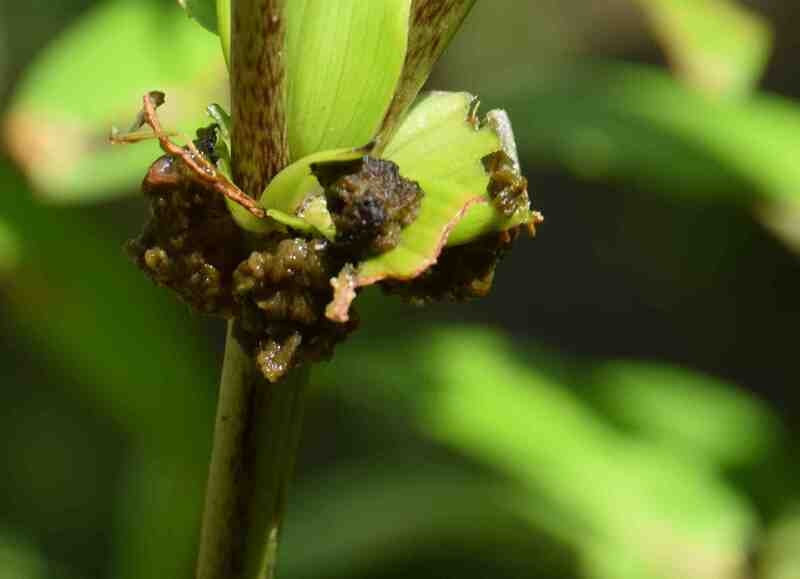 There is no sign of the red beetles but their grubs are munching their way through the leaves of the few lilies that remain in the garden. These disgusting little horrors cover themselves in their own faeces so all you see is a nasty slimy mess. 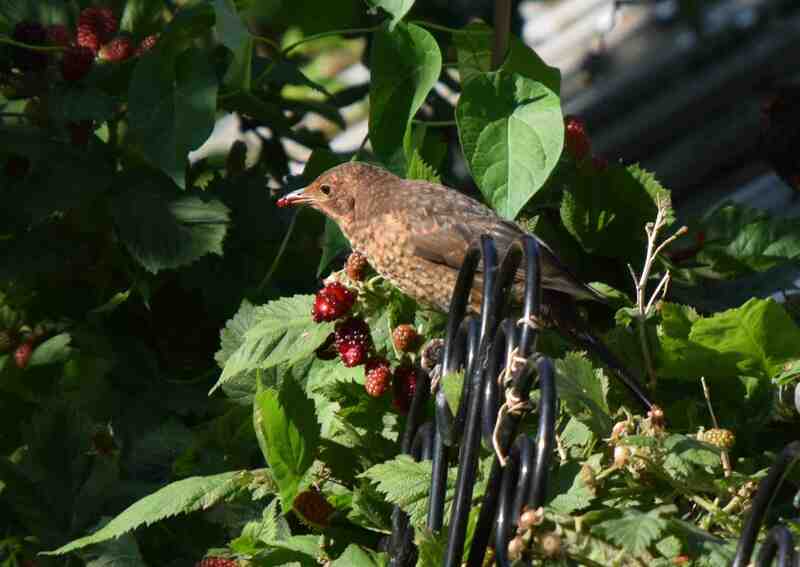 This prevents them being eaten by birds, which we have just seen prefer tasty berries. Ha it’s a dangerous world out there for plants. Can I suggest a net?